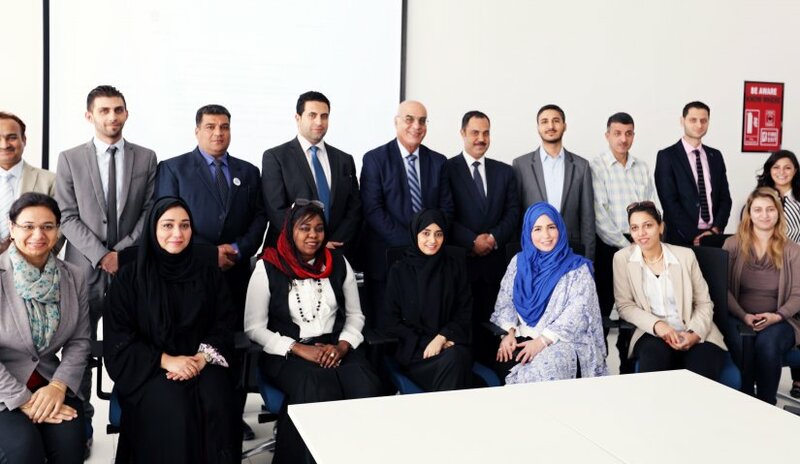 The Ministry of Education held a workshop yesterday on survey questionnaires for graduates on efficient ways to get feedback and data and to gauge the standard of education. Al Falah University’s representative, Prof. Nasr Abbas and Dr. Yasser Al Tayeb, Director of Quality Assurance and Institutional Effectiveness Center attended the training held at the Teachers Training Institute - MOE Training Center in Ajman from 9:30 am to 12:00 noon. A questionnaire is a tool used to know the needs of the labor market and to help universities develop appropriate programs.